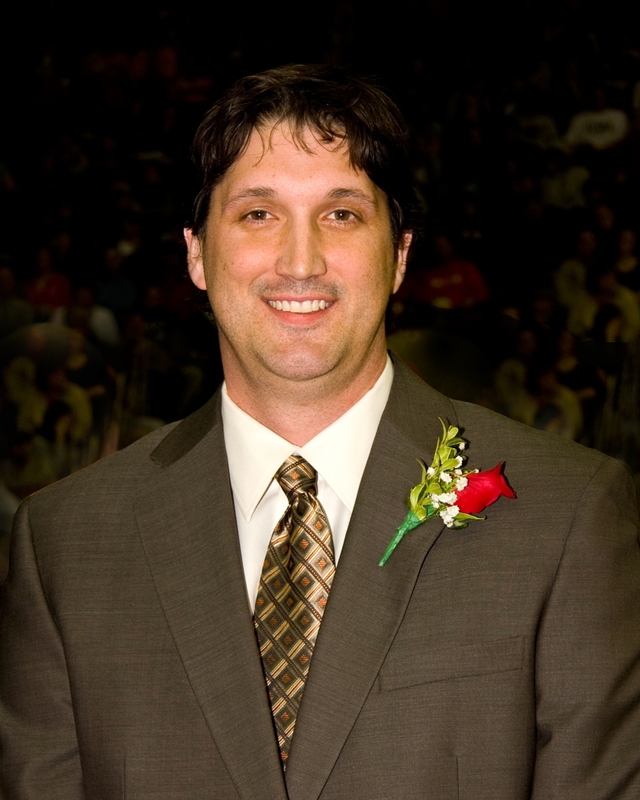 Todd Sears becomes the third former Ankeny Hawk to be inducted into the IHSAA Hall of Fame. Mr. Sears led Ankeny in scoring and rebounding in 1992, 1993, and 1994 and was the team's MVP each season. The Hawks were 56-11 in that span and took home the State Tournament runner-up trophy in 1993 and the third place hardware in 1994. He was named to the All-Tournament team and earned first team all-state honors each of those trophy years. During his three-year varsity career he scored a school record 1,285 (19.7 ppg) and gathered 667 rebounds (10pg). He also holds the school single game scoring record of 43 points. A three time all-state baseball selection, he opted to pursue that sport in college at Nebraska, where he lettered his first three seasons. Taken in the 1997 MLB draft, he had an 11 year career in professional baseball, spending time in the major leagues with Minnesota and San Diego.